The everything bagel is one of my favorite bagels because the overall flavor is so complex. Just by looking at one of these bagels you see and bunch of ingredients scattered across the top of it. You know your going to get a lot of flavor even before biting into it. To some people, the topping ingredients are too much. To me, the everything bagel toppings just seem to work. What does an everything bagel have on it? 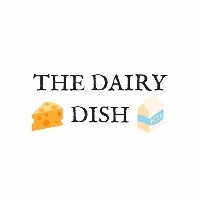 Immediately, when you bite into it you probably notice at least two or three prominent ingredients that include salt, dried onion, and dried garlic. It is hard to miss these because of their obvious strong flavors. In addition to salt, dried onion, and dried garlic; an everything bagel commonly also contains poppy seeds and sesame seeds. However, the ingredients can vary based on the baker. Some other ingredients that you might see on this type of bagel might be pepper and caraway seeds. Panera Bread: Sesame Seeds, Poppy Seeds, Salt, Dehydrated Garlic, Dehydrated Onions. Starbucks: Sesame Seeds, Poppy Seeds, Dehydrated Onion, Dehydrated Garlic. They also get fancy and top it with Asiago cheese. 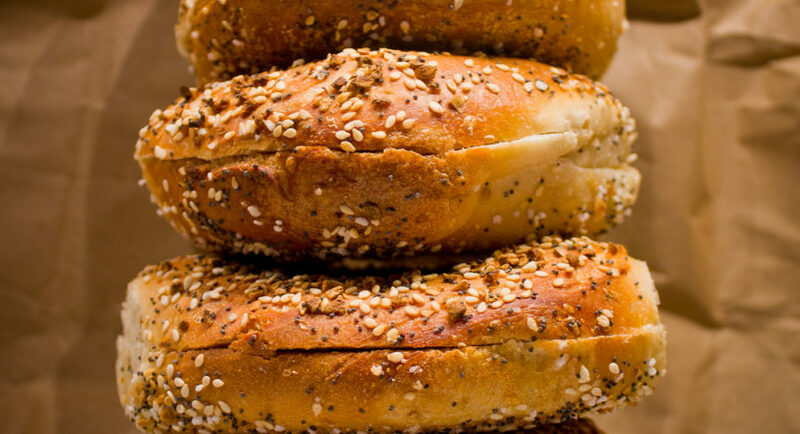 New Yorker Bagels: Poppy Seeds, Sesame Seeds, Dried Onion Flakes, Dried Garlic Flakes, Kosher Salt or Sea Salt. I recently bought the below Trader Joe’s Everything but the Bagel Seasoning. My plan was to try to make homemade everything bagels, but I haven’t got around to making them yet. However, I have added the seasoning to cottage cheese and it has quickly become one of my favorite snacks. If you like cottage cheese and everything bagels, you should give this combination a try.